The Incredible Suit: Let's do the Oscars right this year, shall we? Let's do the Oscars right this year, shall we? I hope Deakins does get a nod for capturing the best looking Bond film ever. 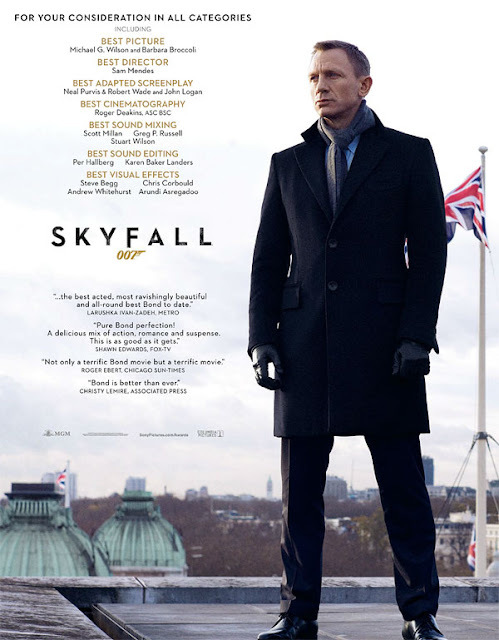 What is it that makes Skyfall's screenplay adapted? Is it just because the characters weren't invented for the purpose of the this film? If it doesn't win Best Cinematography I'll go spare. I'm curious as to how it could possibly qualify for Best Adapted Screenplay though. Best overcoat and scarf combo.